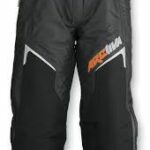 June 2015 - Midwest Sports Publishing Network, Inc.
(June 29, 2015) All new gear from Arctiva announced for the 2015-16 riding season. 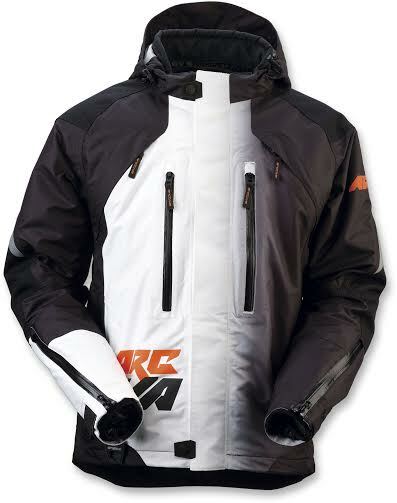 Arctiva’s performance outerwear and layering garments are specifically designed for the snowmobile enthusiast are now available at your local Parts Unlimited Dealer. 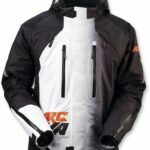 The 2015-16 Mech Insulated Jacket is the premiere jacket for taking your sled to the most inhospitable of environments. Waterproof, windproof and breathable, the Mech Insulated Jacket features a chassis made from high denier polyester, with 500 denier Cordura® nylon overlays in the wear areas. The 2-layer laminated fabric is tightly sealed at the seams, combined with a DWR coating on the exterior of the jacket for long lasting durability. The interior liner is made from 3M™ Thinsulate™ insulation and is completely removable. Zippered vents, a removable hood and an integrated bib attachment system allow the rider to easily adjust to any weather, on the fly, while remaining dry and comfortable. Multiple interior pockets, as well as a built in key clip and optical cloth, means you will always have your much needed items at the ready. The Mech Insulated Bibs are made from the same great material as the jacket, with a double layer in the knee and seat area, featuring the same removable insulated liner. Boot gaiters help keep the snow out while full length zippered vents on the inside and outside of the legs allow for a more breathable experience. Easy to access pockets make sure the rider can always reach mission critical items. Available in sizes small to 3XL, the suggested retail price is $325 for the jacket and $295 for the bibs. 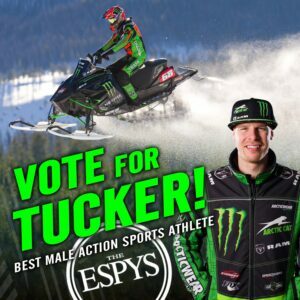 June 25, 2015 – Tucker Hibbert’s record-breaking snocross season just earned him an ESPY (Excellence in Sports Performance Yearly) Award nomination in the Best Male Action Sports Athlete category. It’s Hibbert’s third nomination and if he wins, he’ll become the first snowmobiler in history to take home this prestigious award. Haslett, Michigan (June 23, 2015) The International Snowmobile Manufacturers are pleased to report that snowmobile sales in North America continue to show a positive growth pattern in 2014-2015, with sales increases that outperformed the US and Canadian economies. Supported by a strong snowmobile sales season and great snow cover in 2013-2014, sales of new snowmobiles in 2015 grew 8% in the United States and 4% in Canada. 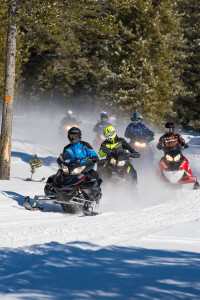 Snowmobilers and outdoor winter enthusiasts purchased snowmobiles at a rapid pace early in the year responding to heavy snowfall the previous year along with strong, positive levels of confidence. Sales slowed somewhat in December due to light snow cover, but finished on a strong note as heavy snow and cold winter weather engulfed much of North America in January, February, and March. Sales of new snowmobiles sold in 2015 in the United States reached 58,299 units compared to 54,028 units in 2014 and 48,536 units in 2013. The sales report underscores a 20% increase in a two year period! Sales in Canada in 2015 were 50,752 new sleds sold, up from 48,758 units in 2014 and 44,022 units in 2013. Canada has reported a 16% increase in new sled sales over a two year period! Snowmobiling continues to be very popular throughout North America. Miles ridden and usage of snowmobiles increased over 10% and positive expanding economic impact reports were the rule in the snow-belt. Snowmobilers generate more than $34 billion dollars of economic activity in North America annually. Snowmobilers continue to express a high level of interest in purchasing new snowmobiles in the future and are actively participating in the Go Snowmobiling campaigns and club membership. Recent surveys by ISMA show that approximately 70% of all snowmobilers are members of organized snowmobiling clubs, associations/federations throughout North America. The continued growth in interest in snowmobile club/association activity paints a bright picture for snowmobiling worldwide. Sales in Northern Europe (Finland, Norway, and Sweden) were somewhat flat this year and sales in Russia declined due to well-known issues related to currency value, political challenges, and decline in oil prices which impacted on the Russian economy. Recent surveys continue to show that snowmobilers are active outdoor enthusiasts, participating in many outdoor related activities such as fishing, hunting, camping, etc. Joining the increase in sales of snowmobiles, the sale of Parts, Garments, & Accessories continues to be strong, with an increase on the purchasing of snowmobile related gear, trailers, clothing, and other related accessories. Snowmobilers continue to purchase the new high tech products for their enjoyment and eagerly embrace new equipment used for communication, global positioning, riding directions, and mapping. Snowmobilers are also improving their safety awareness as a growing number of snowmobilers are participating in avalanche awareness and related safety classes, preparing them for mountain and trail riding. The 2015-2016 year is shaping up to be another successful year for the industry. Carryover snowmobile product inventory is at its lowest level in many years and new products have been displayed and are being widely accepted by the buying public. Early shows and events have reported excellent crowds and advanced orders for products is strong. Snowmobile dealerships are well positioned to take advantage of the growth potential in this sport and are optimistic in their outlooks and planning. Just Who Are the Iron Dogs? The Iron Dog Brigade celebrated their 40th anniversary at the International Snowmobile Congress held in Niagara Falls, NY , June 10 – 13, 2015. Many people don’t know exactly what being an Iron Dog means. The Brigade was formed to be a “social and honorary type of organization that could make a solid contribution to furthering the sport and industry, and to be a speaker’s bureau that would be available to promote the sport. Over the years the organization has grown to 125 members who are inducted at their annual meeting during the International Snowmobile Congress each June. Membership is by nomination with the main requirement being that the nominee having served at least 15 years in the sport of snowmobiling either in industry, journalism, pioneer, government or volunteer service. Many of their members are also members of the International Snowmobile Hall of Fame. A formal banquet was held to celebrate the anniversary. Approximately 30 Iron Dogs met along with their guests to induct new members and honor some of their Brigade as well. This year’s inductees included Frank Roy, Kim Raap, and Dale Hickox. At each Congress, you can clearly see the “Dogs” presence as they volunteer their service to help make the event run smoothly. They serve as greeters, ticket takers, auctioneers, and speakers among other things. At the awards banquet, they announced the recipient of the George A Eisenhuth Distinguished Service award. This year’s recipient was Dennis Burns of Canada. 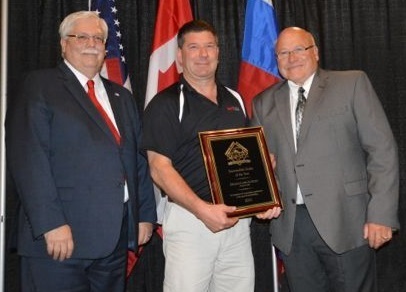 Valcourt, Quebec (June 19, 2015) – BRP dealer Duluth Lawn and Sports has been recognized for their long time support of organized snowmobiling with the American Council of Snowmobile Associations Dealer Of The Year award. 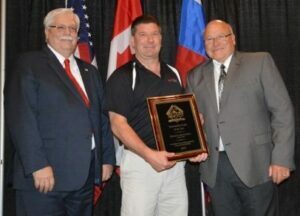 The award is given annually to retail dealers that have proven to go above and beyond in supporting their local and statewide snowmobile clubs and organizations. Pete Gassert (center) accepts his award from ACSA President Duane Sutton (right) and ACSA Vice President Bob Kirchner. Duluth Lawn and Sports was chosen based on their past and present promotions and partnerships. In business since 1991 at the Duluth location, owner Pete Gassert has been the driving force behind the activism, but the entire staff gets involved. The dealership has been an active member of the Black Woods Blizzard Tour for nearly two decades, raising thousands of dollars for ALS research each year. They are also a huge supporter of MnUSA, the statewide association, where the dealership pays for customer memberships at their open house each fall – last year that was 58 memberships. With local clubs they are very involved in projects that include providing sleds and equipment for Veterans Rides, promoting snowmobiling at city, county and state meetings and protecting access and trail rights at anti-motorized meetings. For more information on Ski-Doo snowmobiles visit www.ski-doo.com, or the On Track blog site.